Before New York City was the Big Apple, it could have been called the Big Oyster. 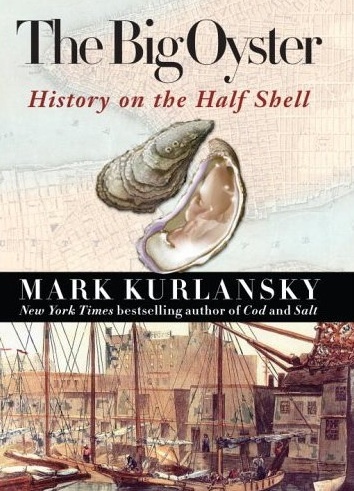 Now award-winning author Mark Kurlansky tells the remarkable story of New York by following the trajectory of one of its most fascinating inhabitants: the oyster, whose influence on the great metropolis remains unparalleled. For centuries New York was famous for its oysters, which until the early 1900s played such a dominant role in the city's economy, gastronomy, and ecology that the abundant bivalves were Gotham's most celebrated export, a staple food for the wealthy, the poor, and tourists alike, and the primary natural defense against pollution for the city's congested waterways. Filled with cultural, historical, and culinary insight — along with historic recipes, maps, drawings, and photos — this dynamic narrative sweeps readers from the island hunting ground of the Lenape Indians to the death of the oyster beds and the rise of America's environmentalist movement, from the oyster cellars of the rough-and-tumble Five Points slums to Manhattan's Gilded Age dining chambers. Kurlansky brings characters vividly to life while recounting dramatic incidents that changed the course of New York history. Here are the stories behind Peter Stuyvesant's peg leg and Robert Fulton's "Folly"; the oyster merchant and pioneering African-American leader Thomas Downing; the birth of the business lunch at Delmonico's; early feminist Fanny Fern, one of the highest-paid newspaper writers in the city; and even "Diamond" Jim Brady, who we discover was not the gourmand of popular legend.